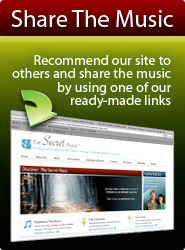 Webmasters, play our free music on your website! Download free mp3 music players! We have created the following mp3 players that you can use to play our free background music on your website. These players are free to use, provided that you make no modifications and refrain from using them for commercial purposes or other violations of copyright. To use a song that is not already in a music player, or for other requests please contact us. Please Note: The players listed here DO NOT work on WordPress.com websites. Click here for our music player options for WordPress. To download and use one of our free mp3 players on your website simply copy all of the html coding from the box associated with your chosen mp3 player, and paste the html code onto your web page. NOTE: It may take a while for the players below to start. This is only because there are so many on this page. In a normal situation where you only have one or two players on a web page they work fine without any delay. The players require you to click the play button for the music to start playing. Royalty Free Music is for website background music, Powerpoint presentation, podcast, online tutorial, corporate training video, e-learning tool, web-based online video games, slide-show, telephone music-on-hold, Flash animation, multimedia CD-Rom, promotional DVD, software demo, video blog, and any other multi-media platforms. Also available for TV, radio, theatre or the film industry. Free MP3 Music Player for Website - A great way to add music to your website. Easily add music to your Web site with this advanced flash mp3 player and stream your music. Web software that lets you create custom playlists with specific songs works by offering a personal radio station based on your musical preferences. Web masters add submit your reciprocal link here. Download and add royalty free Christian music for your website. To embed the best online music players for Christian websites, use our audio music html code and get quality Christian songs. Html coding for beautiful background music available above. Please note: this is NOT a license for anyone to do whatever they want with this music. The terms are straightforward – you may freely use the players we have created in the context of any web based application, (website, blog etc) OR you must contact us to request permission for any other use. We consider each application on its own merits. We are usually happy to grant royalty free (non-paying) use of our music for any charitable (non-profit) project, but please ask first! Contact Us. Download royalty free christian background music for your web site. Free mp3 music players suitable for any web site including myspace, xanga, blogsite, and other social media networking sites. Free contemporary christian praise & worship music. How to add music to your website free - How to add background music to myspace. You simply insert background music mp3 html code into your page. Use our custom built flash music player for your web site. Where can you find royalty free background music for christian websites? Download free royalty free music from The Secret Place - christian background music featuring intimate praise and worship, straight from the heart and sure to capture yours. Please read copyright footnote.